SKU: SDS600PB. Categories: GUM Interdental Cleaners, Interdental Cleaners. 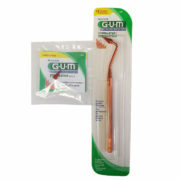 Professionaly designed to promote healthy, firm gums. Rubber tip stimulator for gingival massage and interproximal cleaning. Those who use a gum stimulator undeniably recognize that a high quality firm stimulator (and its daily use) gives a huge boost in Oral Health and give much healthier firmer gums. 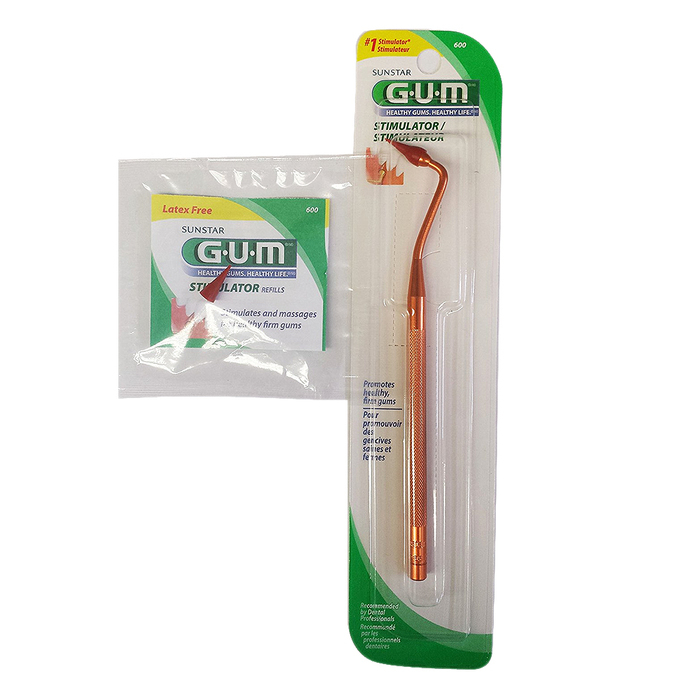 When you open up a packet with a gum stimulator (each invidually wrapped for antibacterial protection), you will notice that it is made of extremely high quality and firm but gentle rubber. However, don’t worry – the rubber is latex free and should not cause any type of allergic reaction if you are allergic to latex. The firm and pointy rubber tip is absolutely perfect for gently getting underneath the gumline and removing the debris that causes gum erosion and gingivitis. The tip slides on easily and securely attaches to the GUM handle because the base of the tip is considerably thicker than the top and does not come off the handle. Because of its pointiness, it easily fits between your teeth and under the gum line – the places where a toothbrush cannot reach. Super Dental Store is committed to helping you create the smile of a lifetime with our wide catalog of excellent dentist recommended products. We buy, store, and ship everything ourselves. We also have a tremendous team of people who are efficient and committed to providing the excellent service that our customers have come to expect.